Assemble the team and take back the park with the new trailer from THE NUT JOB 2: NUTTY BY NATURE. Surly and the gang return in the upcoming comedy starring Will Arnett, Katherine Heigl, Maya Rudolph, Bobby Moynihan, Gabriel Iglesias, Jeff Dunham, Bobby Cannavale, Isabela Moner, Sebastian Maniscalo, Peter Stormare and Jackie Chan. 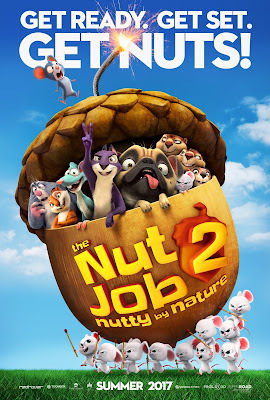 Don't miss the sequel to the 2014 animated hit in theaters everywhere August 18!